Navigating life requires a truly open mind – a mind that feeds on questions rather than answers. We are usually not comfortable with open questions though. Our conditioning drives us towards answers, preferably quick and simple answers, which our mind then mistakes for knowledge. 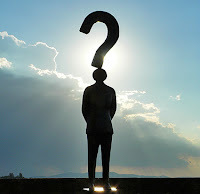 We might even avoid contemplating questions altogether if we have the intuition that there is no straightforward answer. Navigating life means to engage in an open enquiry with universal intelligence. Ideally, a navigator’s entire being is imbued with the energy of enquiry. Not because he or she is in search of answers, but out of the recognition of the enchantingly open and infinite quality of questions and enquiry. Answers don’t lead to a sense of wonder. Answers don’t produce magic. Answers cannot go beyond the limitations of our thought based mind. If we are serious about turning our life into a magical treasure hunt where the ultimate treasure is total freedom and Self-realization, focusing on answers is out of the question. Once the enquiry is liberated from the limiting filter of answers, it can produce genuinely true results that bypass the mind - in form of silent knowledge, insights, and direct experience. In practice we simply admit to ourselves and the universe at large that we don’t really know anything at all anyway; and out of this understanding we open ourselves up to guidance. Let the universe lead this dance - until there is no more differentiation. - How do I turn my life into a magical treasure hunt? - Focus on feeding the mind with questions rather than nailing down answers. This seems suspiciously like a question answered!